All around waterman, Valentine Ching, Jr., has spent a lifetime surfing the waters of Oahu and is known as the pioneer of shortboard surfing on his paipo. He and his father began designing and riding paipo boards when he was only 7 years old, riding both kipapa (prone) and ku (standing) style. 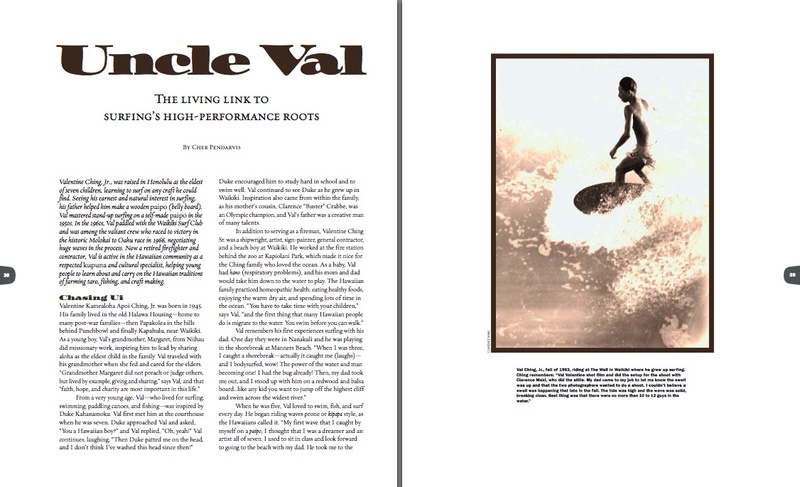 “Uncle Val” is busy passing the torch on to his children and their generation by encouraging and teaching Hawaiian culture, farming, arts fishing practices, and, of course, paipo shaping and riding.